"When I was in my teens, I heard the twangy guitar sound of Duane Eddy. Electric guitars were in their infancy back then and I'd read somewhere that the reverb sound was discovered by mounting a speaker to a 45 gallon drum and placing a mic at the open end. Whether that story is attributed to Duane Eddy I cant say for sure, but that sound intrigued me. He recorded songs like Rebel Rouser and Peter Gunn and I was hooked. The arrival of the Beach Boys, the Beatles, and the Eagles greatly influenced the type of music I like to play. Country music was also popular and I pursued that genre for a number of years. More recently, long time greats like Eric Clapton and Paul Carrack have shifted my interests to Rhythm and Blues. So all in all, I have developed a liking for many kinds of music. 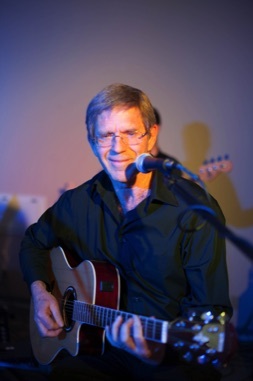 In the 1980's I started playing and singing professionally but my musical endeavours were sidelined by other demands and I wasn't able to return to the music in a meaningful way until after a lengthy hiatus. It wasn't until the early 2000's I began playing guitar and steel pedal guitar to audiences at one of the larger local churches. Not only was the talent there exceptional but it also housed an impressive stage and sound system. That was such a terrific experience because I was able to perform at a great venue and also do the sound mixing for some of the more promenant acts that performed there. It also introduced me to my interest in recording, mixing, and mastering. 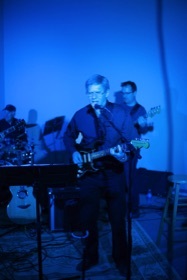 At the same time, I was playing with several bands performing Country, Classic Rock, and Blues. Those experiences led to the formation of the Street Legal Band which is an extension of the type of music I enjoy and play now."